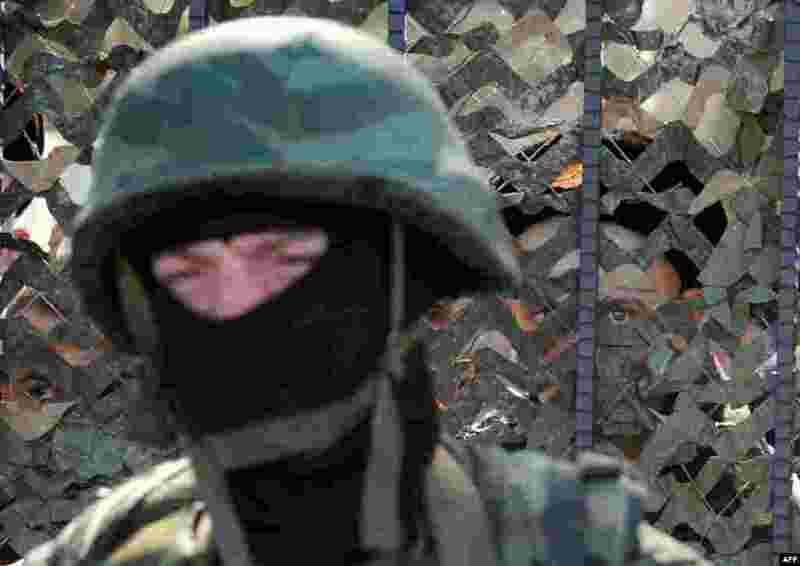 1 A Ukrainian soldier stands behind a fence while unidentified armed men block the headquarters of the Ukrainian Navy in Sevastopol. 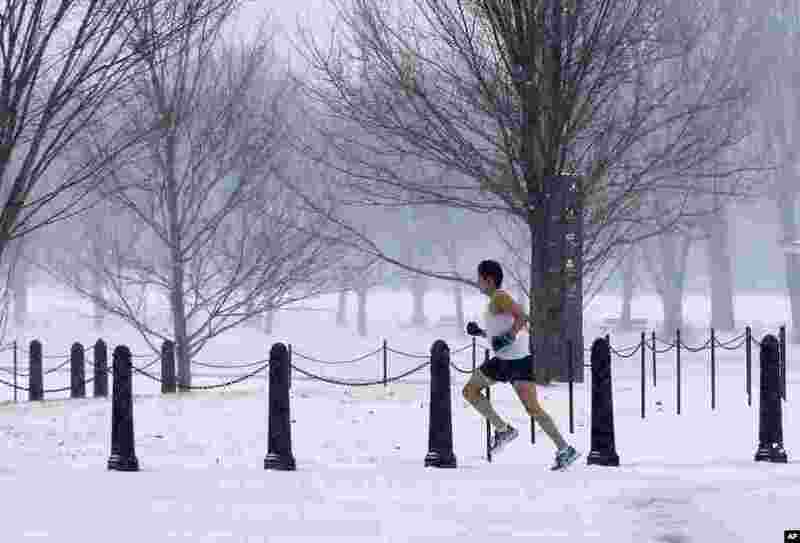 2 An man runs on the National Mall as snow falls in Washington, closing area schools and the U.S. federal government offices. 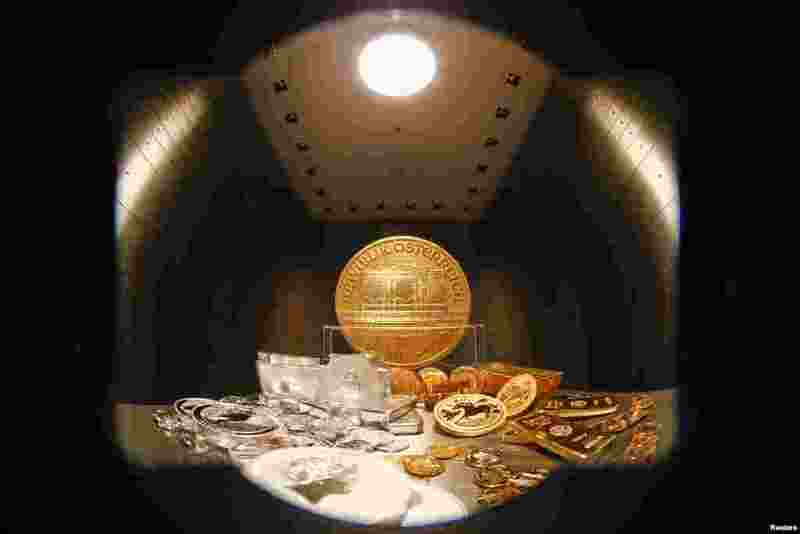 3 Gold and silver bars and coins, on a table in the safe deposit boxes room of the ProAurum gold house in Munich, Germany, are in demand with the threat of war between Ukraine and Russia. 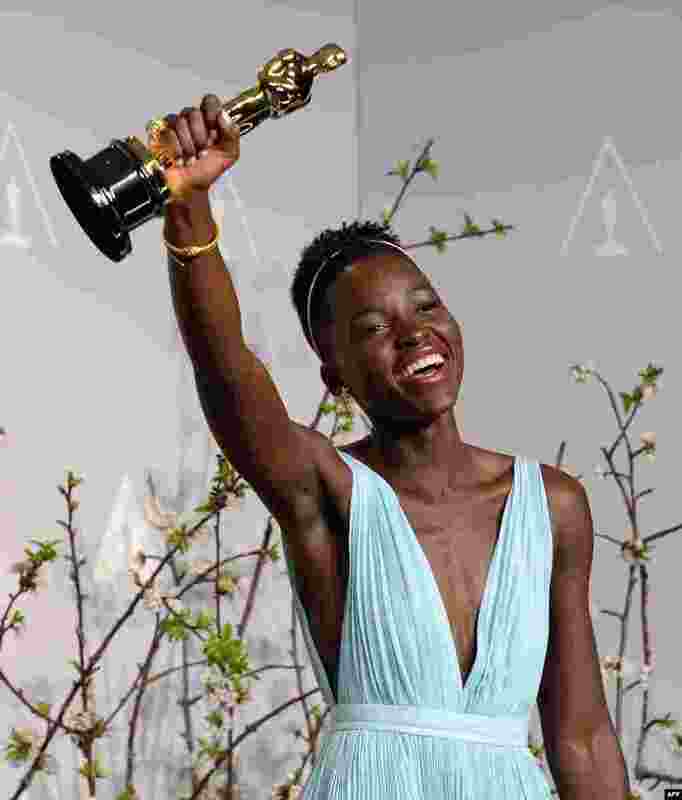 4 Actress Lupita Nyong'o celebrates winning Best Performance by an Actress in a Supporting Role award for '12 Years a Slave' at the 86th Academy Awards in Hollywood, California, March 2, 2014.